After three kidnappers lose the baby they have kidnapped, both the cops and kidnappers go looking for the baby. Eddie: [Baby Bink just got away from the villains again after many times, but this time by crawling into a small sewer tunnel] No problem, fellas. It ain't a hole. It's a tunnel. And what's every tunnel got? Veeko: Tollbooth at the end. Eddie: Are you always this stupid, or do you do this just to annoy me? ...but I really love this movie! 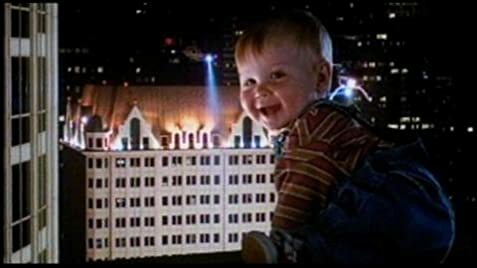 It's a pity this was released on the coattails of "Home Alone", since it's inevitably perceived as a knock-off. But the comparison is really unfair. "Home Alone" featured McCauley Culkin as annoying, precocious, and self-sufficient far beyond his years. The criminals who were his foils were reminiscent of The Three Stooges in their ineptitude. The one quality both Culkin and the criminals shared was a being mean spirited to some degree. 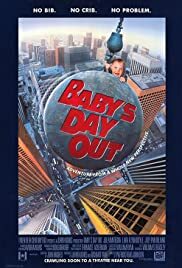 Baby Bink in "Baby's Day Out" is a true innocent who survives on luck while remaining adorably unaffected. His criminal foils are more reminiscent of Laurel & Hardy than The Three Stooges - cleverer and more subtle. In this case, the quality shared by Baby Bink and the criminals is innocence and an underlying decency. The supporting cast is superb, led by Joe Mantegna in one of his best comic roles. If you're not too jaded to appreciate it, I highly recommend this movie.